In the opinion of many early-nineteenth-century seafaring men, the French had the most accomplished shipwrights in Europe. Thanks to Napoleon’s conquests, the French naval arsenals had access to vast tracts of wood they could source across the continent, and their ships were admired for their grace and speed. Even Britain’s mighty Royal Navy made it a habit of “taking the lines” from captured French vessels and incorporating them into new British warships. It is thrilling to imagine that somewhere deep in a storeroom of Paris’ Musée National de la Marine, there may sit a model of Constitution, commissioned by Napoleon Bonaparte himself! If so, it would be the earliest model of the ship and would probably give us even more information than the superb model presented to Issac Hull by his crew in 1812. That one is now safely moored at the Peabody Essex Museum in Salem, MA. A model of Constitution possibly dating as early as the 1830s, but heavily restored in the 20th century. USS Constitution Museum collection. 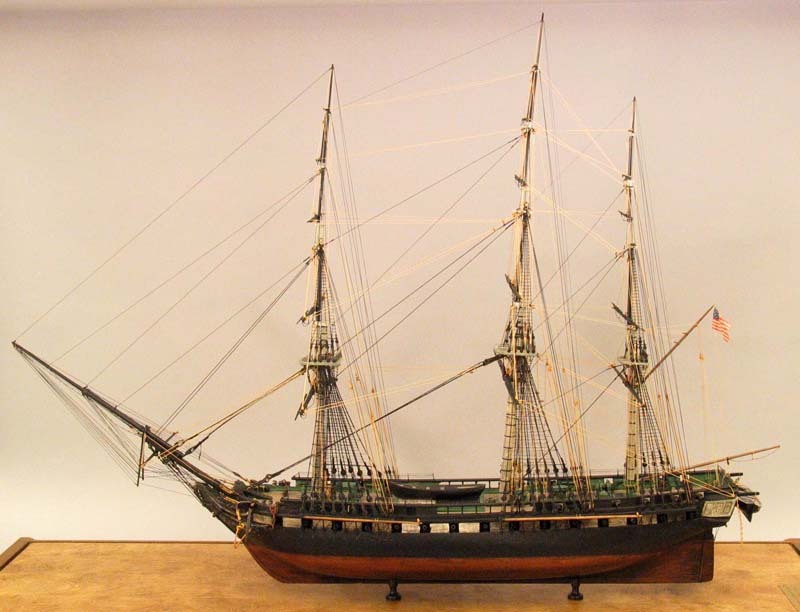 Speaking of models, if you are interested in miniature depictions of Constitution, or scores of other exquisite ships, be sure to visit the USS Constitution Model Shipwright Guild’s 34th annual ship model show beginning February 2. For more information, click here.